Episode 40 of the JMB Podcast is about current and upcoming events. Christopher and I discuss what we’re working on to upgrade the field school, upcoming trips and programs, stocking our pond with brook trout, and our new team resiliency training. Rand Solar Oven I’m using as a solar water heater. 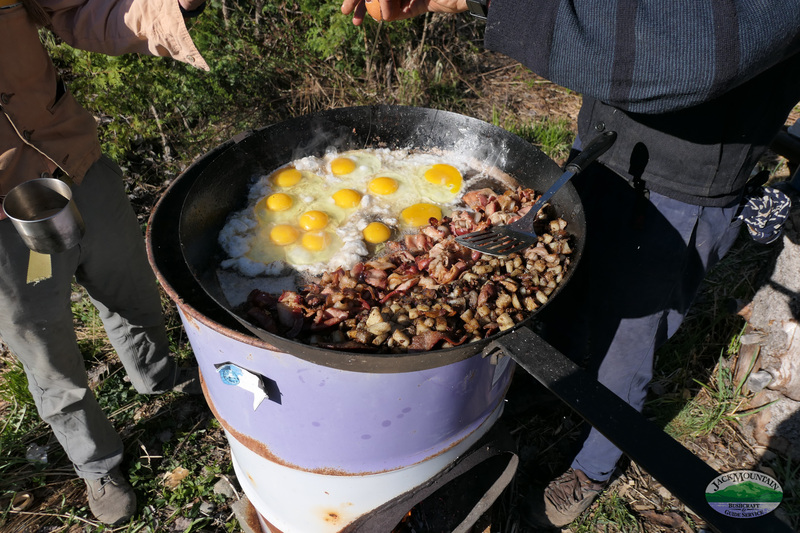 PHOTO: Big breakfast cooking in the big frying pan on the big rocket stove. I really enjoy listening and re-listening to the pod casts. You never know where the discussion will lead, but you will always hear something that will stick with you. I do not use the other media services we are asked to “Like” the pod casts on, but I do really look forward to each new episode. Thanks for sharing. Thanks for the feedback Michael. Glad you like it!